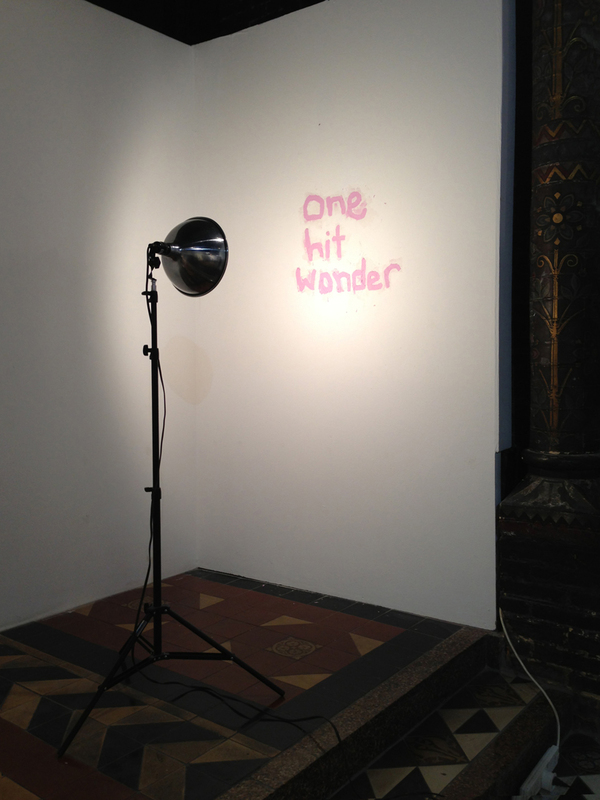 Drywall filler, light stand, 20" x 20"
This work looked into the cultural phenomena behind the phrase "One Hit Wonder" in relation to the materiality of the text. 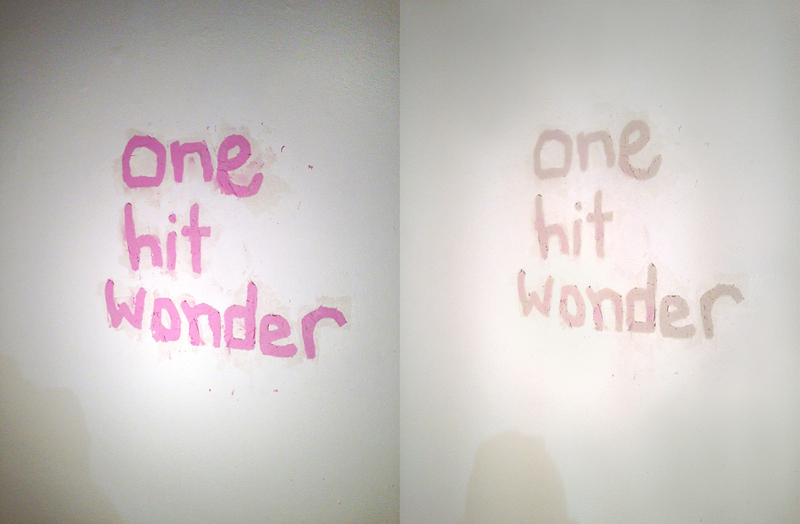 The text on the wall has been engraved and then covered with colour indicated drywall filler that turned from pink to white when dry. The process lasted for 3 hours.